Car Services also provided in Newport Beach, Seal Beach, Costa Mesa and all of Orange County, CA. In Style Transportation is the premier Limousine and Car Service in Huntington Beach, California. Our all luxury fleet of Lincolns, Cadillacs and Mercedes is less than three years old. We have airport permits at Los Angeles International Airport, LAX, John Wayne Airport, SNA, and Long Beach Airport, LGB. Reservations can be made by phone, email, online or through our phone application. We have an impeccable reputation and maintain a 5 star rating on Google and Yelp. 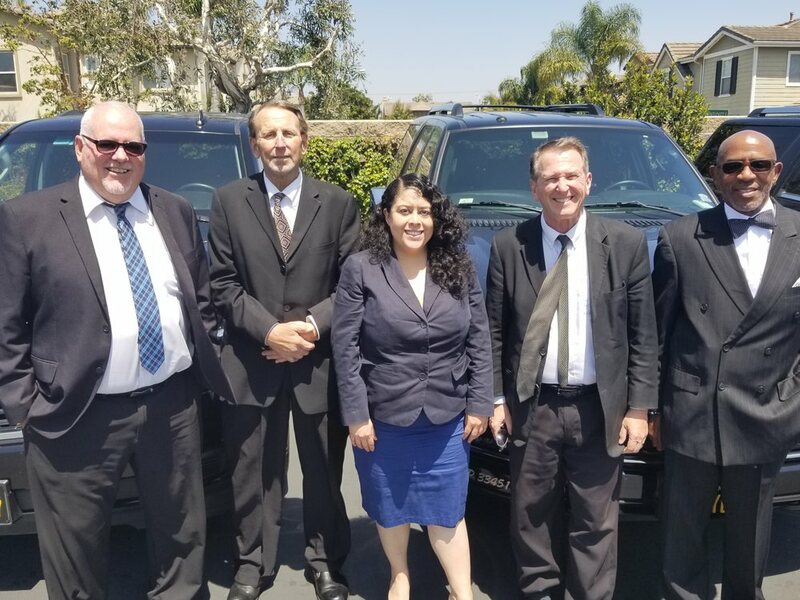 When choosing a limo service in Huntington Beach, we hope you consider In Style Transportation as your trusted car service. The distance to LAX from Huntington Beach is approximately 38 miles. The drive time to get there can range from 40 minutes to one hour and 40 minutes during rush hours. Typically, if you leave by 5:00 AM in the morning, you can get to LAX in less than an hour. However, if you leave between 5:30 AM and 9:30 AM the trip will typically take about 1.5 hours. When scheduling your pick-up time, we generally like to add 30 minutes to the typical travel time to allow for variances in traffic and potential jams due to accidents or construction. So, if you leave during morning rush hour, we would schedule your trip 2 hours prior to the time that you would like to arrive at LAX. WE PROVIDE FREE CAR SEATS UPON REQUEST. The distance to SNA from Huntington Beach is less than 12 miles. You can reach John Wayne Airport in less than 30 minutes. Traffic getting into and out of John Wayne Airport typically runs smoothly and is usually not congested. With a population of 200,089, Huntington Beach, California is the largest Beach City in Orange County. Huntington Beach is known locally simply as “HB”. However, its most popular nickname is Surf City due to it’s 9.5 mile beach and consistent surf all year long. In fact, The Huntington Beach Conference and Visitors Bureau owns the trademark rights to “Surf City, USA.” And unlike other beach cities in OC, the beaches are very accessible to the public with very little commercial development between the beach and the road. Huntington Beach hosts the US Open of Surfing and the AVP Beach Volleyball Tour. The Cliffs a.k.a. Dog beach is a is a fun place to visit because it’s a popular surf spot and dogs are allowed on the beach here. South Huntington Beach a.k.a. Huntington State Beach is operated by the State of California, Department of Parks & Recreation and Huntington State Beach Lifeguards. The beach is long and wide here with sandbars that shift with the seasons.The top employers in Huntington Beach include Boeing, Quicksilver, Cambro, Ensign United States Drilling, The Hyatt Regency, C & D Aerospace and Walters Wholesale Electronics. Rates are subject to availability and do not include a typical gratuity of 20%. Rates to and from an airport are a flat fixed rate. Other destinations are estimates based on a pick up Downtown Huntington Beach. A $15 EVENT FEE will be added to all PICK UPS at an event venue with a capacity of 2,500 or greater.